Jesus knows our humanity well and knows the reality of betrayal. He knows the depths of our hearts and our propensity for self-preservation. How do we open our hearts to God and seek forgiveness for turning away from Jesus in our midst? 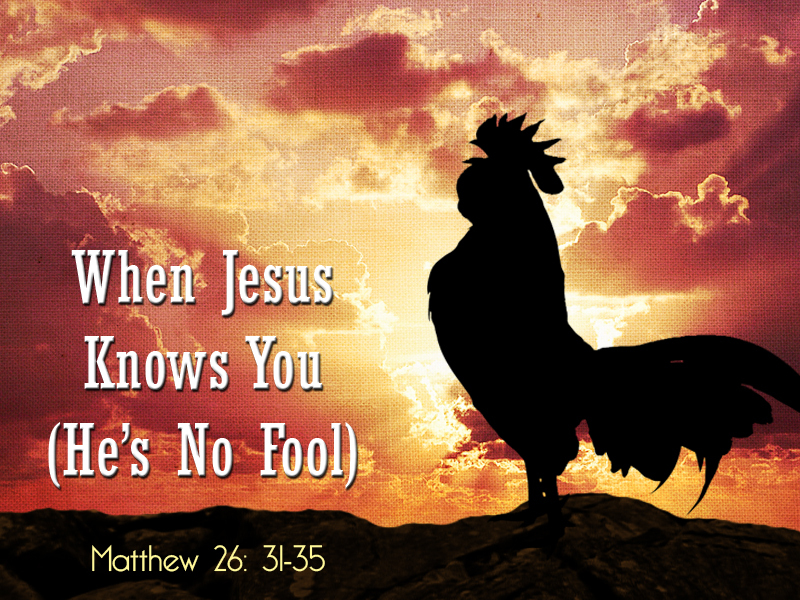 This is the fifth message in the series, “Shadow Savior: Not the Savior You Want, but the Savior You Need.” It is based on Matthew 26: 31-35, “Jesus Predicts Peter’s Denial.” Today’s reading starts about 4 minutes 50 seconds into the video. Guest pastor Rev. Jerry Hagans preaches extemporaneously. 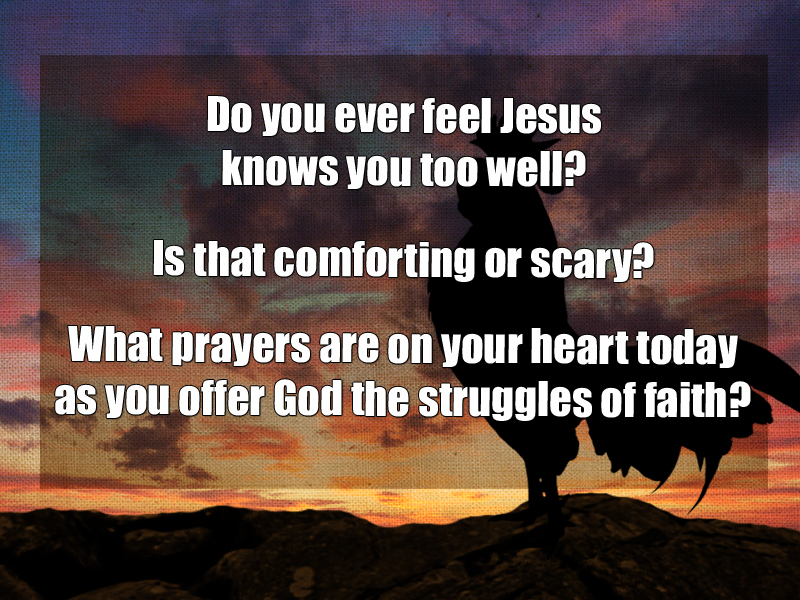 For a summary of his message, click here. Contact the church office for a DVD if you wish to hear it in its entirety. For an additional perspective, watch “40 Days: Peter’s Denial.” Peter painfully recounts the events leading up to the darkest hour.